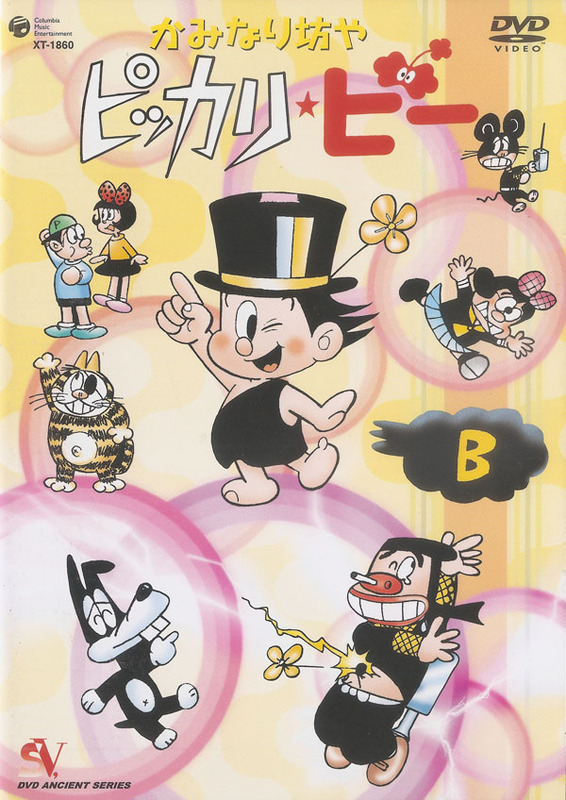 The 1960s saw TV networks in Japan wanting to get into the anime business after “Astro Boy” took off. 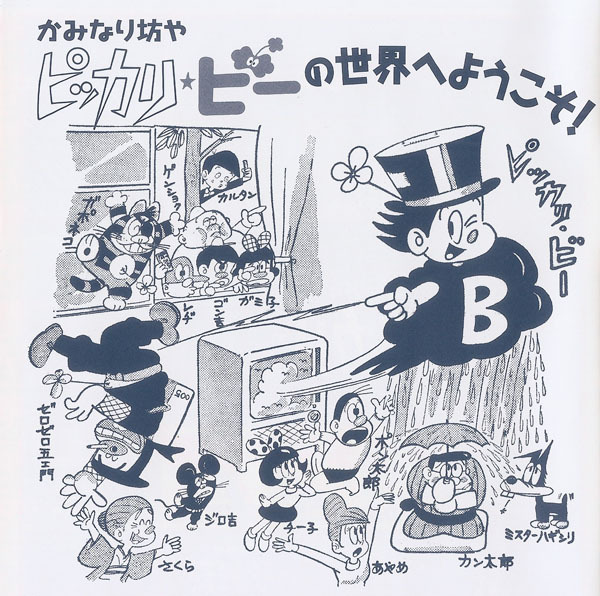 Osaka’s Mainichi Broadcasting System (MBS) was no exception, and got into the act when they aired Osomatsu Kun in 1966-67. Osomatsu was a joint production between Studio Zero and Children’s Corner. The latter studio was founded in 1964, essentially as a branch of Toei Animation in Omori, being built as a training ground for animators. By the time MBS hired them to produce Osomatsu, it was branched off as its own independent entity. After Osomatsu ceased production, MBS wanted to keep the animation train going with a new show. 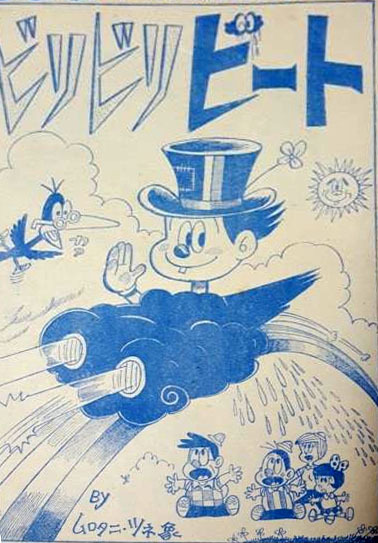 In 1966, Tsunezo Murotani drew a manga for Weekly Shonen Sunday called Biribiri Beat, about a boy that flies around in a thunder cloud. This version of the manga was short lived, only running for 6 issues in the magazine. However, evidently somebody at MBS was interested in it, and bought the rights to make an anime of it. 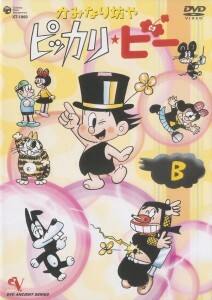 Retitled “Kaminari Boya Pikkari B.” (Thunder Boy Pikkari B. 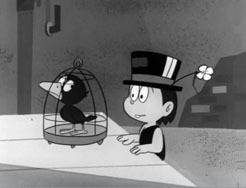 ), Children’s Corner was hired to produce half of the episodes. For the other half, MBS decided to form their own in-house animation studio to handle it, called Hoso Doga Seisaku (lit. Broadcast Animation Production), with Hiroyoshi Mitsunobu hired as the overall supervising director. Like the preceding Osomatsu Kun, this was a gag anime. The main premise is that Pikkari B., a boy who lives in a thunder cloud, lands on Earth. He is initially found by Pontaro, an average schoolboy, and follows him home. Pontaro, however, thinking he’s a monster, tries to lose him, to no avail. He warns his grandmother about the boy, but she ends up taking a liking to the boy, especially after he saves her from a robbery. As a result, Pikkari B. was adopted into the home. Pontaro is part of a group of six friends known as “Wanpaku Six” (“Mischievious Six”). Other members are Gonta, the “leader” and a bit of a hardhead; Gamiko, the secondary leader, is the only girl in the group, a tomboy who likes to fight back; Kenshoku, an overweight boy who is frequently seen eating; Karudan, a “neat freak” who is always seen wearing nice clothes; and Reji, a math genius who is always seen carrying an abacus. 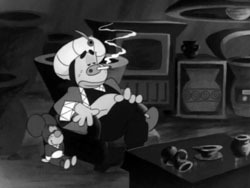 The series has a couple of recurring antagonists such as Zero Zero Goemon, a ninja who is frequently seen smoking out of his nose. Goemon is a character who has a different role in every episode, most often as a common thief, but also as an inventor who builds and sells robots, depending on what is needed for the episode. 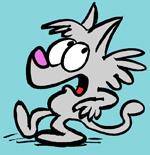 A bully cat named Gaponeko also appears, who would steal food from humans with his cat gang. Of course, Pikkari B. would always foil their plans. Among Pikkari’s powers are sucking up water, making his cloud bigger and allowing it to transform into different, functional shapes. More bizarre, however, is his ability to make flowers come out of people’s bellybuttons, making them laugh in the process. The latter power was disrupted once when Pikkari got into a battle with a bunch of warring birds; as birds don’t have bellybuttons, he was unable to use this power. 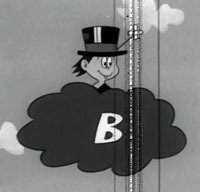 Thunder Boy Pikkari B. ran for 53 half-hours on MBS from April 1, 1967 to March 30, 1968, produced in black and white. Each episode contains two 11 minute segments, although there were a few stories that ran for a full half-hour. Note that a lot of the later shows would often feature just one new segment, with another half being repeats from earlier. Hoso Doga would only make one more show after this, “Fight Da! Pyuta”. It’s a shame, because the studio showed promise with his inventive gag animation style, which only improved once “Pyuta” entered the picture. For more information about Hoso Doga and “Pyuta” in particular, please check out Ben Ettinger’s post on the subject. 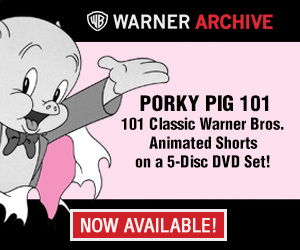 This is the first time I’ve heard of this anime series. Thanks for telling us about it. Charles,any possibility of doing articles on other obscure 60s anime series like Space Ace,Whirlwind of Harisu,and Soran the Space Boy?